The Huayna Picchu mountain is the most incredible experience you can have in Machu Picchu. There are so many people who want to have one of the 400 available tickets, which have to be booked several months in advance. Booking ahead will also help you choose the group you want to join. When to book the ticket Machu Picchu + Huayna Picchu in 2018? Most people prefer to enter the mountain Huayna Picchu in group 2, this because normally the mountain dawns with fog. On the other hand, entering group 1, will allow you to be the first people to enter the mountain, to see why Machu Picchu is known as the city in the clouds, and if you are lucky you can see how the clouds dissipate over it. It is the mountain that gives shape to the classic postcard photo of Machu Picchu. To climb to the top, most of the time you will have to cross giddy paths and steep stone steps, known as the stairs of death, next to cliffs hundreds of meters; besides incredible views, this is one of the most amazing short walks in the world, next to Machu Picchu. Machu Picchu is the city that can offer a perspective of what was, the greatest ancient empire in the Western Hemisphere. Its stone constructions are considered as one of the best discoveries in the history of the humanity. And it is one of those places that you have to know before you die. The Machu Picchu mountain is the best alternative for people who could not get one of the tickets to enter the mountain Huayna Picchu. On the other hand, with the ticket Machu Picchu Solo, you can have amazing walks inside the Inca city of Machu Picchu; the walk to the bridge of the sun or the walk to the Inca bridge. You will not be able to enter Machu Picchu without a guide. We recommend you book one when booking your Machu Picchu tickets. You can do it through info@boletomachupicchu.com. Tickets for students can now be reserved with the university card, but remember that it is only valid for undergraduate students. Only people over 12 years old, who are not afraid of heights, will be able to enter the Huayna Picchu mountain trails. The rainy season makes this route quite special; however, we recommend avoiding the month of February for being the rainiest of the season. We recommend you bring water, a photo camera with plenty of available memory, a large bottle of water, sun protection; however, make sure that everything fits inside a small backpack that allows you to have your hands free. There are certain objects with which you will not be able to enter Machu Picchu; among them, sticks of selfie, tripods or supports of cameras of any type, among others. 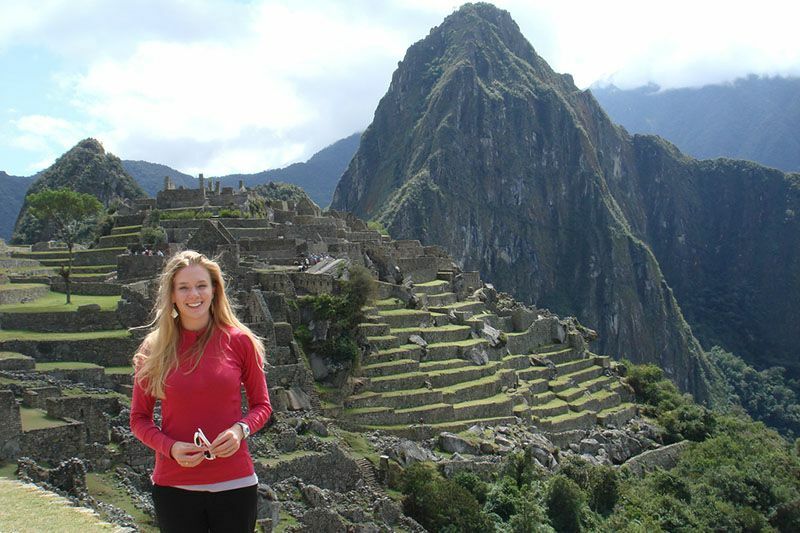 ← How to get to Machu Picchu without the Inca Trail?